Hello, my name is Mary and I am a thrift-aholic. I love thrift stores and ever since Saver’s Thrift Store re-opened by my house, I’ve found bargain after bargain. 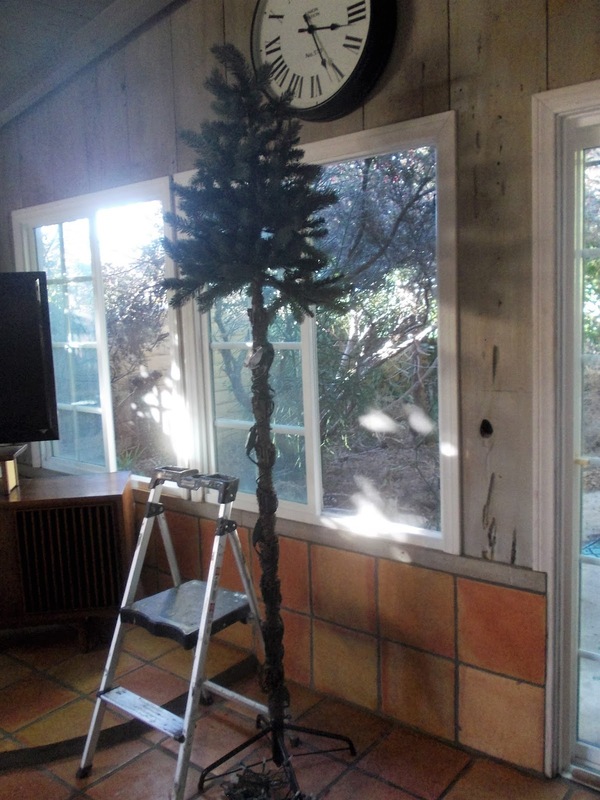 This one happened last year, when I needed a new Christmas tree. I had decided on a green tree after my white tree had yellowed. 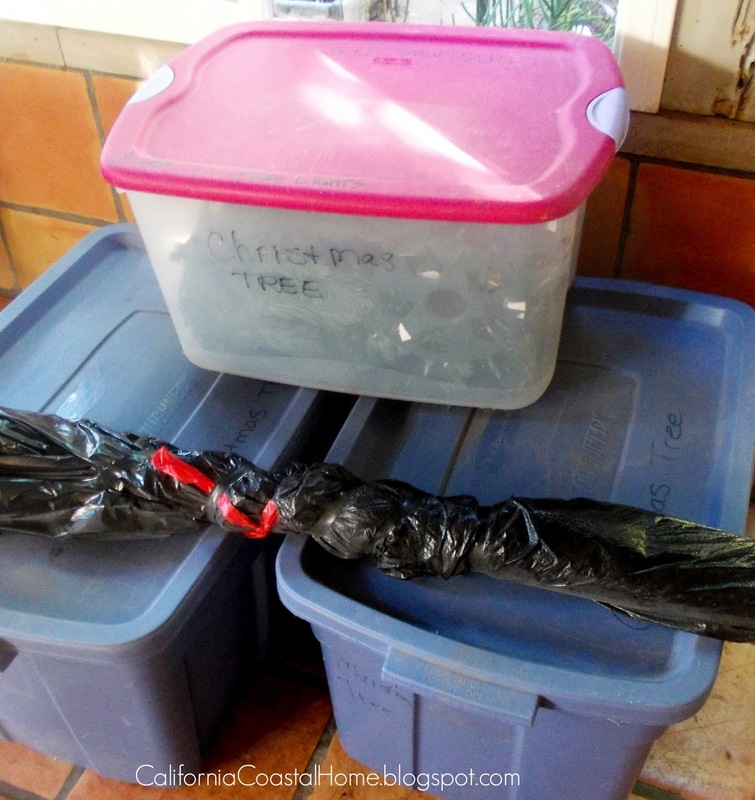 I will never buy another white tree, they just start looking bad after a couple of years,(even though I would carefully seal mine up before storing it). The tree I bought did not come with a box. 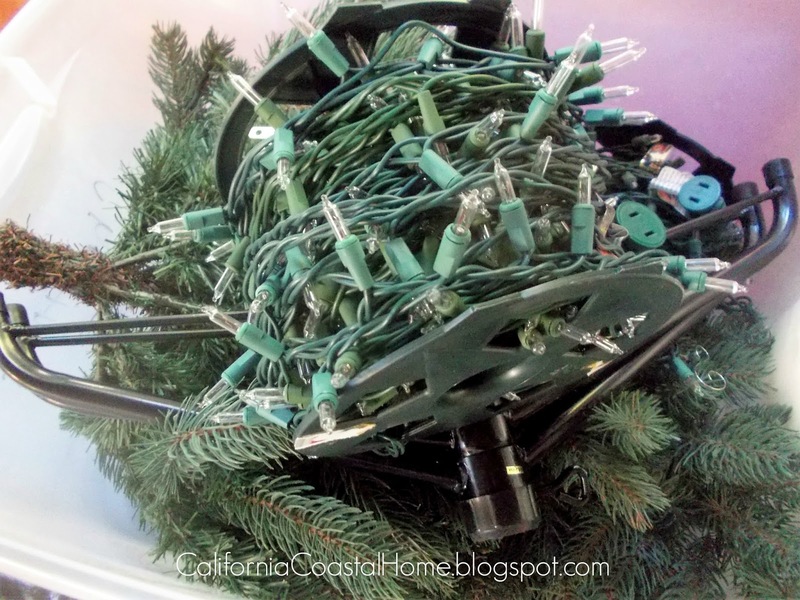 And half of the pre-lit lights were burned out. I think that’s why it was still available. But I could tell that it was a very expensive tree when it was new. It’s big and full and very realistic looking. They were selling it for $69.99. I had a 30% discount card. So the tree only cost me $ 49.00. I’ve seen trees like this for hundreds of dollars new. 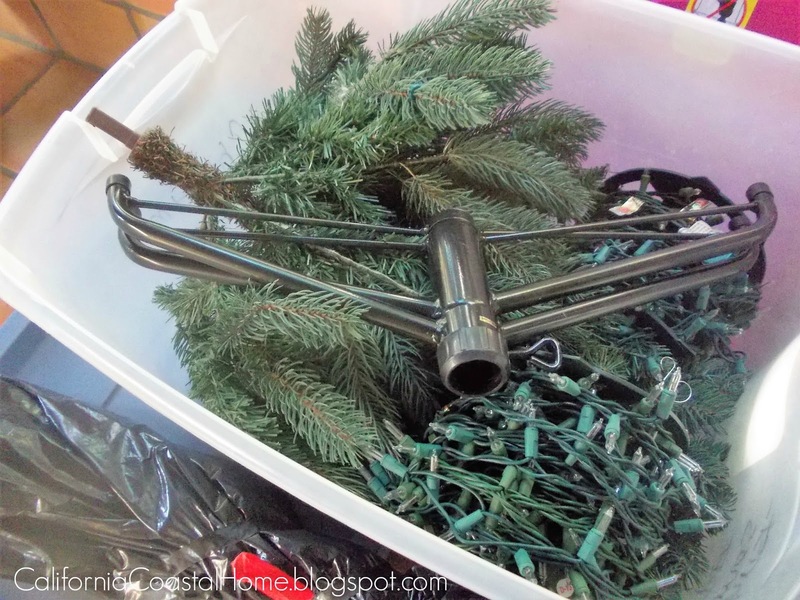 After lugging the 3 monster sized, box-less tree sections home in my SUV, I set about unwrapping and cutting the old Christmas lights off. It took several hours, because boy, those fancy-schmancy trees have intricately wrapped lights! I kid you not, it took forever. But you know what? It was totally worth it. 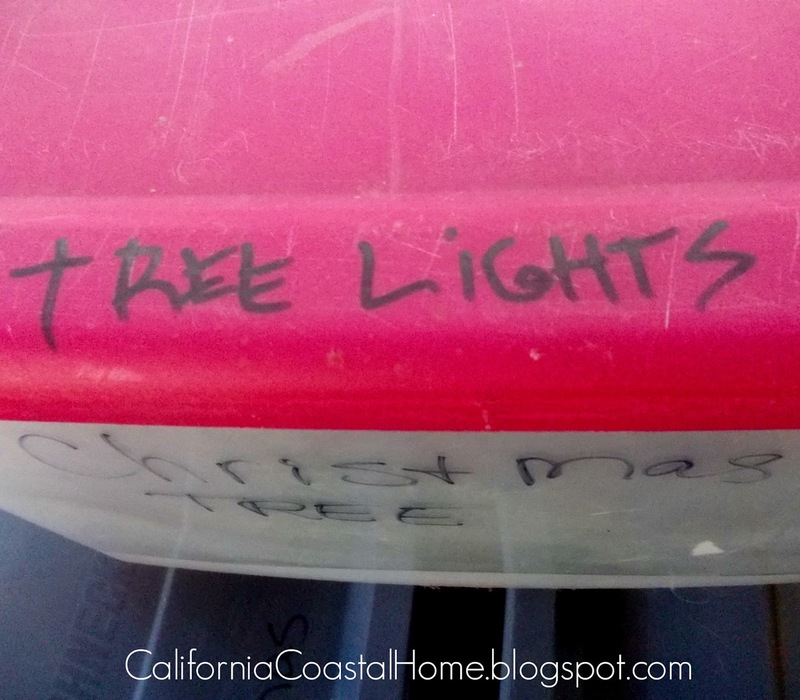 It takes three containers to store this tree and all of it’s lights, but that also helps to keep it very organized. 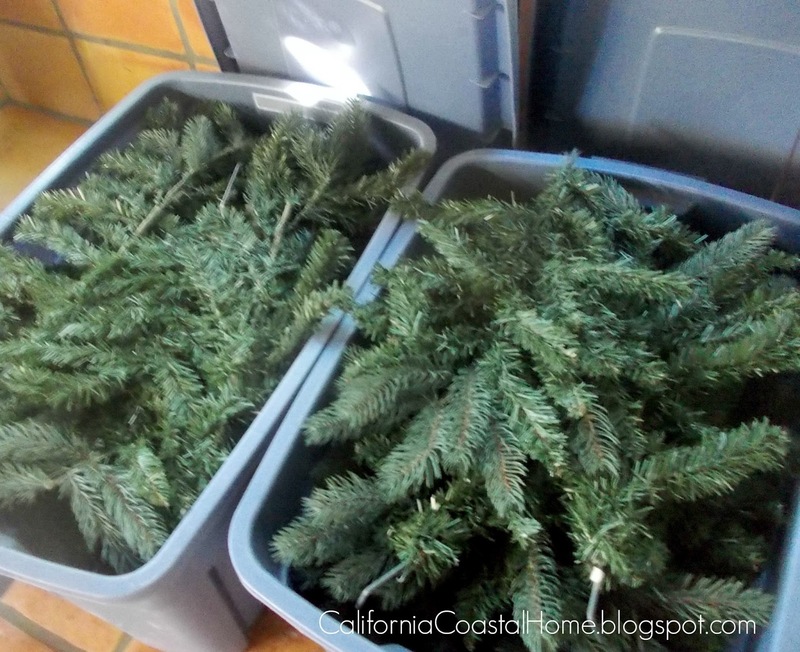 I had separated the large and small branches last year, which made it simpler to put up this year. 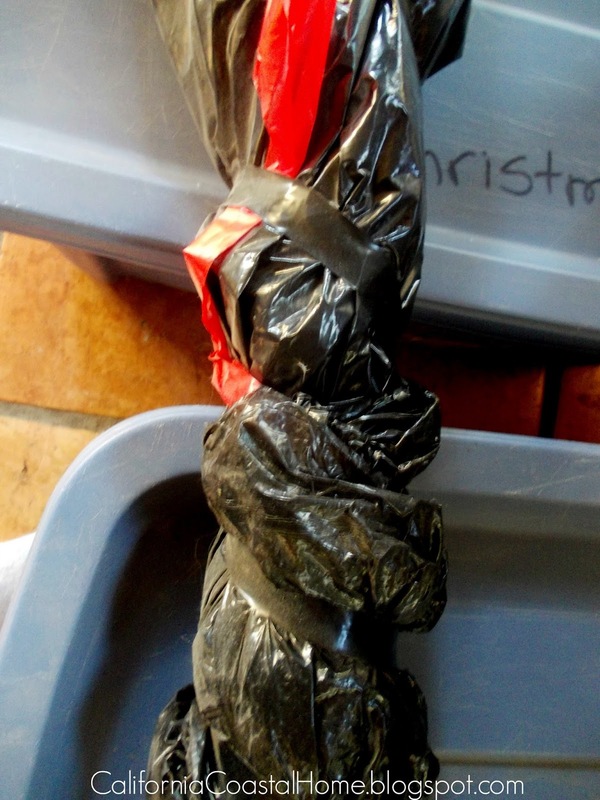 The tree pole doesn’t break down into separate pieces, so I just wrapped it in trash bags and electrical tape. One box holds all of the lights. I bought 3 big lights on a spool from Home Depot. 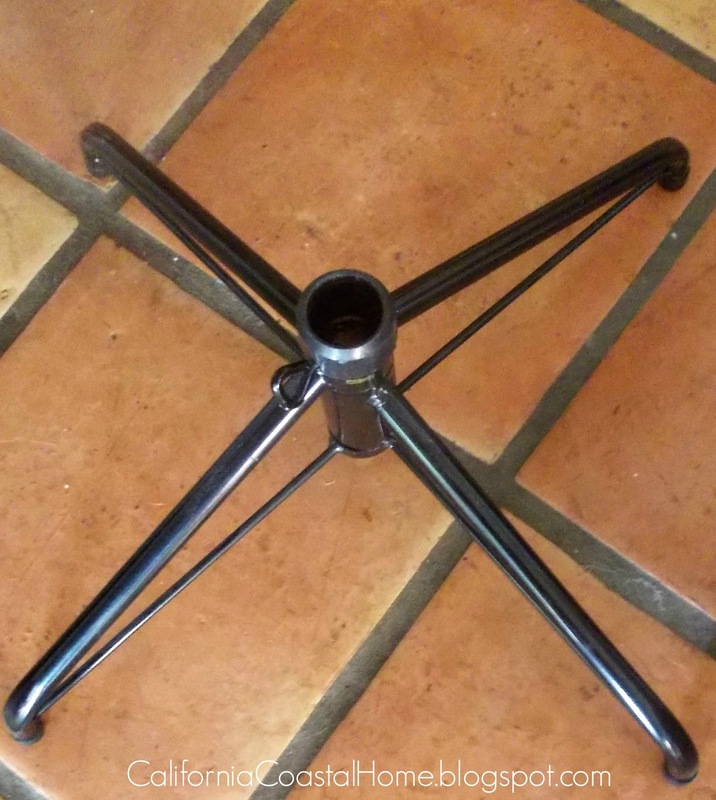 It also holds the top portion of the tree and the tree stand. I love the tree stand because it collapses down flat. 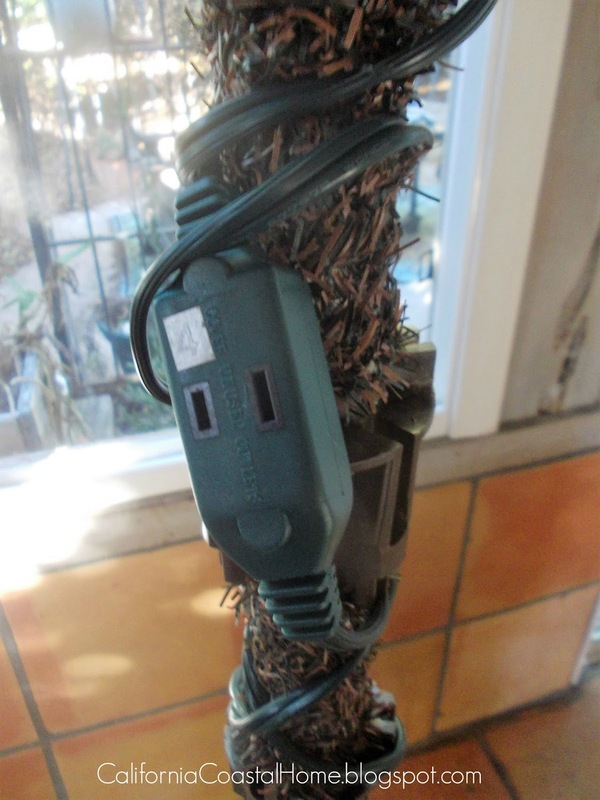 The tree pole has four different plugs up and down the trunk, which makes it so easy to add the lights without needing to hide an unsightly outlet strip! 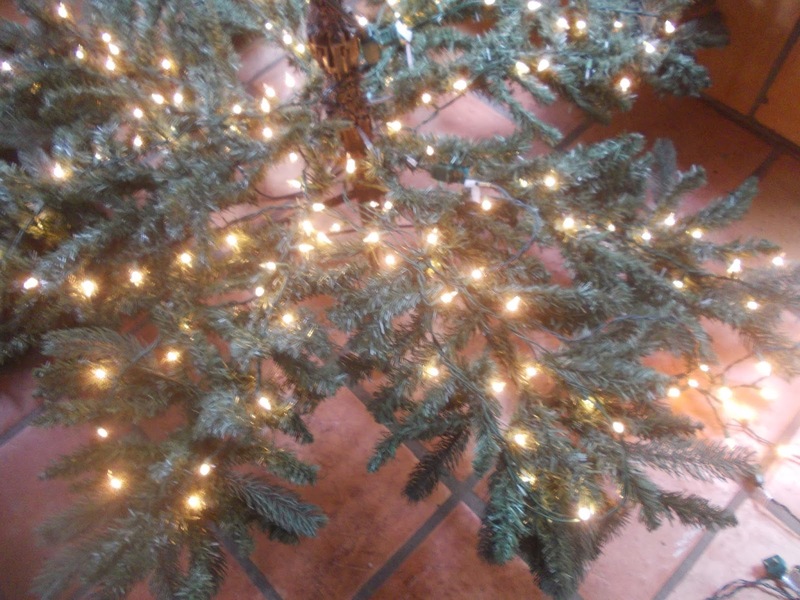 I decided it would be best to wrap the lights as I added the branches, because I like to place the lights down the entire length of the branch and back. 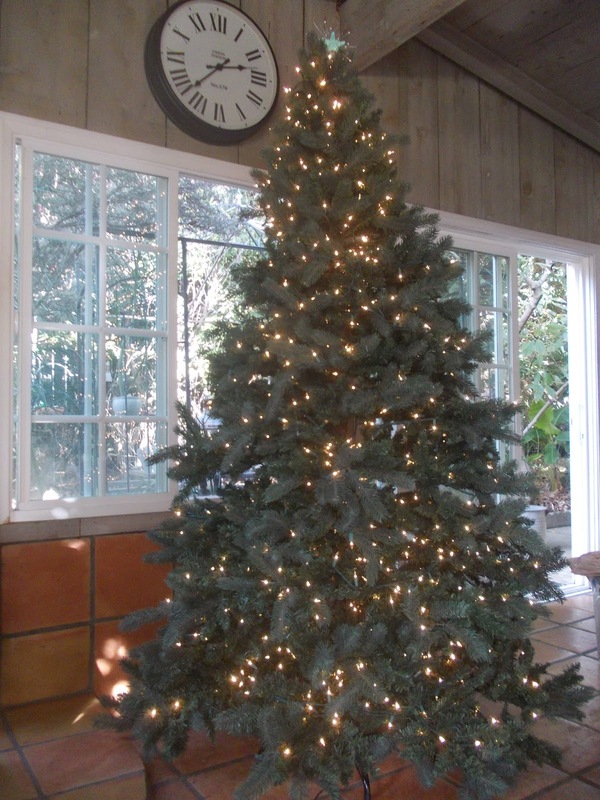 It takes a lot longer than just wrapping the lights around the outside of the tree, but it looks pretty when it’s done. The lights are very evenly distributed from trunk to outer branch. Ta-Dah! There we go, all ready to decorate!